Here's What Could Be Next For The Mueller Russia Investigation In 2019 A number of unfinished criminal cases could be resolved. Democrats will take the majority in the House of Representatives. But many big questions still remain unanswered. 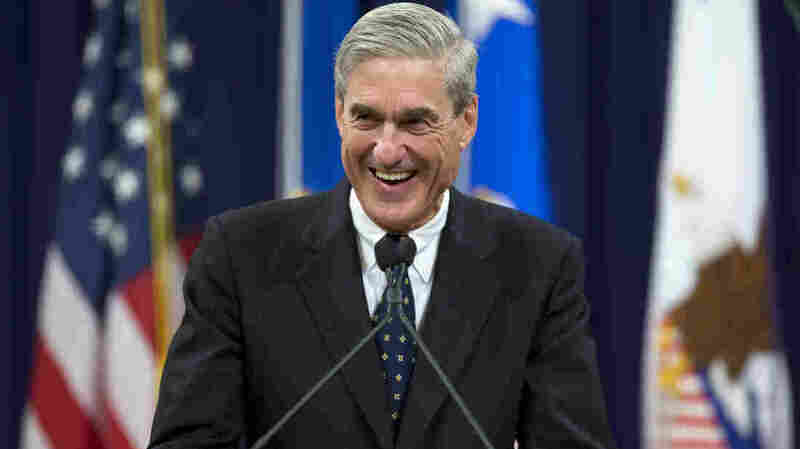 Speculation continues to run rampant about the investigation by special counsel Robert Mueller, seen at his farewell ceremony as director of the FBI in 2013. The Russia imbroglio is barreling into another year that could deliver even more revelations and political heat than the last one — and maybe even a big finale. The criminal cases of several key players are unresolved, new charges could be ripe, and House Democrats are set to sweep into Washington with huge ambitions about how to use their investigative and oversight powers now that they wield the majority. Three of President Trump's former top aides are waiting to be sentenced after reaching plea agreements with prosecutors. Trump's former campaign chairman, Paul Manafort, first was convicted in a bank and tax fraud trial in Virginia, then pleaded guilty to avoid a second federal trial in a separate conspiracy case in Washington, D.C. But the Justice Department said its cooperation agreement with Manafort had broken down over what the government said were lies Manafort had told investigators. Manafort is scheduled to be sentenced early in 2019. Will he and his lawyers try to salvage their relationship with prosecutors so that the government asks the judge in the case to be lenient? And, if not, will Manafort's sentencing hearing include new details about the core question that special counsel Robert Mueller's office is investigating: Did Trump's campaign conspire with the Russians who attacked the 2016 presidential election? 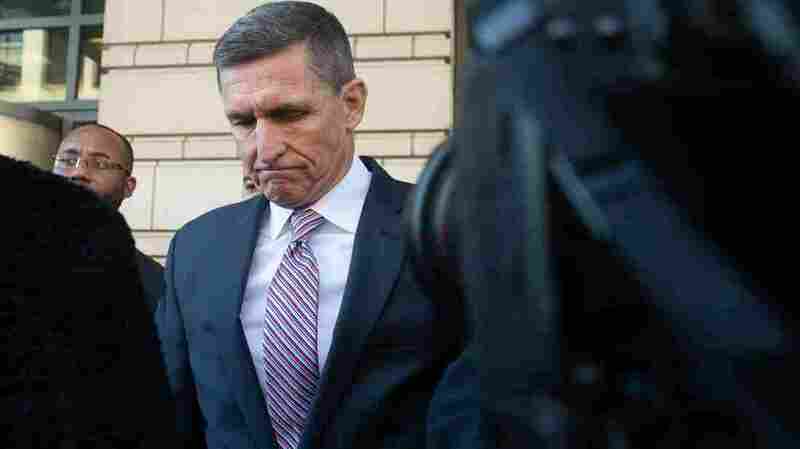 Trump's former national security adviser, Michael Flynn, was scheduled to be sentenced in December, but a federal judge in that case delayed the decision. Former national security adviser Michael Flynn leaves federal court in Washington, D.C., after his sentencing hearing was delayed on Dec. 18. Now Flynn has no date scheduled for his sentencing. Instead, he and the government have been ordered to give Judge Emmet Sullivan a status update in March. This means Flynn may give even more cooperation to the Justice Department beyond the more than 60 hours of meetings and other materials he has provided so far. In fact, he could appear as a witness for the prosecution in a case the government is making against two of Flynn's former business partners, who have been charged in a scheme to smear an enemy of the Turkish government. So if all goes well for Flynn, serving as a government witness may be the cherry on the sundae and make the judge more inclined to show leniency in his ultimate sentence. Trump's former deputy campaign chairman, Rick Gates, so far has no sentencing date scheduled. 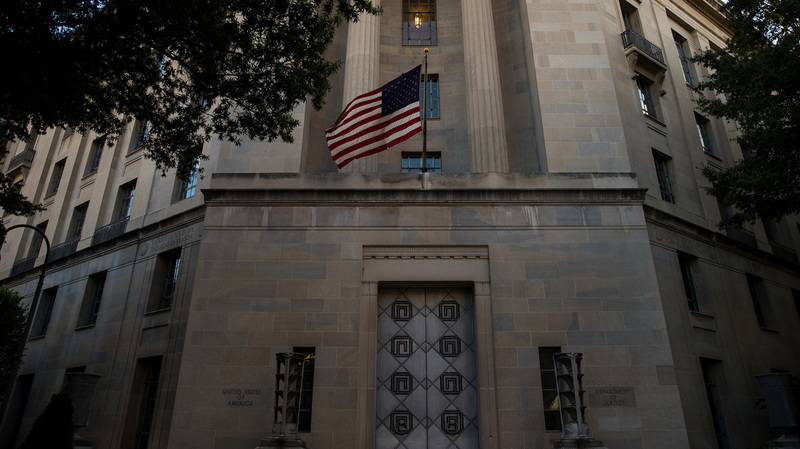 He has been cooperating with prosecutors since he pleaded guilty to charges connected with Manafort and served as the star witness against his former mentor in the Virginia trial last summer. The Justice Department has asked a judge not to schedule a sentencing hearing for Gates because he's cooperating with so much of its work, much of which still appears to be behind the scenes. When, or if, Gates is sentenced in 2019 could be an important milestone in the investigation. There have been many suggestions about new charges by the special counsel's office. 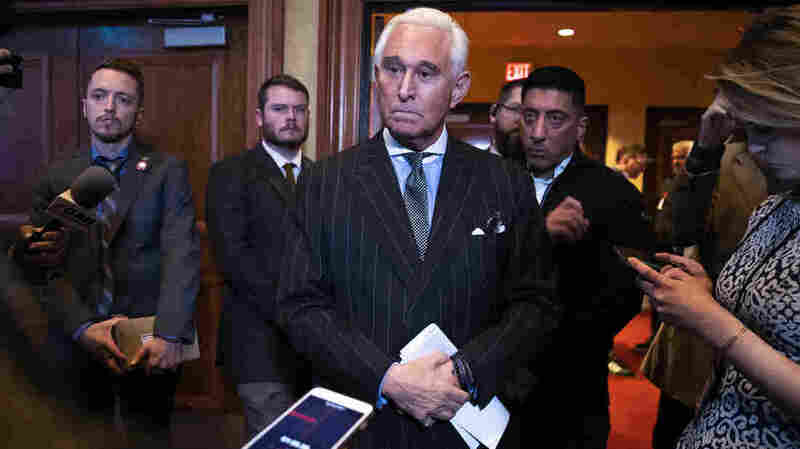 They might target political consultant Roger Stone, who has told NPR he thinks he'll be indicted, or associates of his such as conservative commentator Jerome Corsi, who told MSNBC that he walked away from a plea deal offered by Mueller's team. Stone and Corsi both deny they engaged in any wrongdoing. Political strategist Roger Stone talks to reporters at the American Priority Conference on Dec. 6, in Washington, D.C. In December, the House intelligence committee voted to release to the executive branch a transcript of Stone's testimony before the panel. That move fueled speculation that Mueller might be preparing to charge Stone with lying to Congress, although there has been no official indication. Stone and his associates are thought to be potential connections between Trump's campaign and WikiLeaks, which released an avalanche of data stolen by Russian intelligence from political targets including the Democratic National Committee and Hillary Clinton's campaign chairman. Stone and Corsi have suggested they won't give evidence against Trump, and Stone has invoked his Fifth Amendment privilege not to submit to an interview or provide documents in response to requests from the top Democrat on the Senate Judiciary Committee. If Stone, Corsi or others in this part of the Russia storyline are charged, that could mean high-profile new trials in New York City or around Washington, D.C.
And if the Justice Department charges WikiLeaks' founder, Julian Assange, after suggestions that may happen, that trial also could be huge — assuming the United States could get Assange out of the Ecuadorian Embassy in London where he has taken refuge. House Democrats who've sought to defend DOJ and the Mueller investigation will gain those powers as they arrive in a new majority. Congress has been a dominant force in the Russia imbroglio all along, but 2019 may bring a big change in tenor. The House Republicans who have criticized the Department of Justice and Mueller's office will lose their ability to convene hearings and subpoena witnesses. The House Democrats who've sought to defend DOJ and the Mueller investigation will gain those powers as they arrive in a new majority. One incoming Democratic chairman, Rep. Elijah Cummings of Maryland, fired a warning shot well before the new Congress was even seated: He announced that he has sent 51 letters to "the White House, multiple federal agencies and others requesting full compliance" with existing requests for information by Jan. 11. Cummings and Democrats are likely to make more new requests of their own. California Rep. Adam Schiff, the incoming chairman of the House intelligence committee, says he wants to reawaken the panel's investigation into the Russian attack on the 2016 election, one Republicans closed in spring 2018. The finding was that there was no wrongdoing by the Trump 2016 presidential campaign and that contacts between people involved and Russians were, at worst, "ill-advised." Schiff and Democrats have called that a whitewash, and they say they want answers from many of the people involved and to open new lines of inquiry. Specifically, Schiff has said he wants to find out whether Deutsche Bank was involved with any payments to Trump. The German finance giant has figured in discussions about the Russia investigation for months, but it isn't clear where it may fit into the broader story. It has paid heavy fines to regulators after admitting its role in past money laundering, and some investigations appear to be ongoing. Former Attorney General William Barr has been nominated to return to his post atop the Justice Department. The new year also is expected to bring a new ultimate boss for Mueller's investigation. Trump has nominated former Attorney General William Barr to return to the Justice Department to take the place of Jeff Sessions. Barr is expected to have a confirmation hearing before the Senate Judiciary Committee early in the year and it may prove contentious. Barr has been a public skeptic about the Mueller investigation — at least the part of it that may be focused on possible obstruction of justice by the president. Barr submitted some written criticisms to the administration and, in the past, echoed Trump's criticisms of former FBI Director James Comey. Democrats likely will press him about whether he can be involved with the Russia investigation or whether he must recuse himself, as Sessions did. Critics also want acting Attorney General Matthew Whitaker to recuse himself, but as the Justice Department explained, he opted not to take himself out of the matter. Deputy Attorney General Rod Rosenstein has continued to oversee the investigation anyhow, it emerged. Rosenstein was asked about Barr at a press conference before Christmas. He said that whoever was involved with the Russia investigation — whether it was him, Mueller, Barr or another Justice Department leader — it would continue to be handled "appropriately." Jan. 1 marked the 595th day since Mueller was appointed. No one outside of his office has any clear idea about how much longer his team's work may go. Trump's attorneys said they believed it would be wrapped up by Thanksgiving — of 2017. When attorneys on the Mueller team left in October 2018, people took that as a sign the investigation might be cooling down. Predictions that "Mueller is tightening the net" or "this is the fourth quarter" haven't gone away — and yet the special counsel investigation hasn't, either. 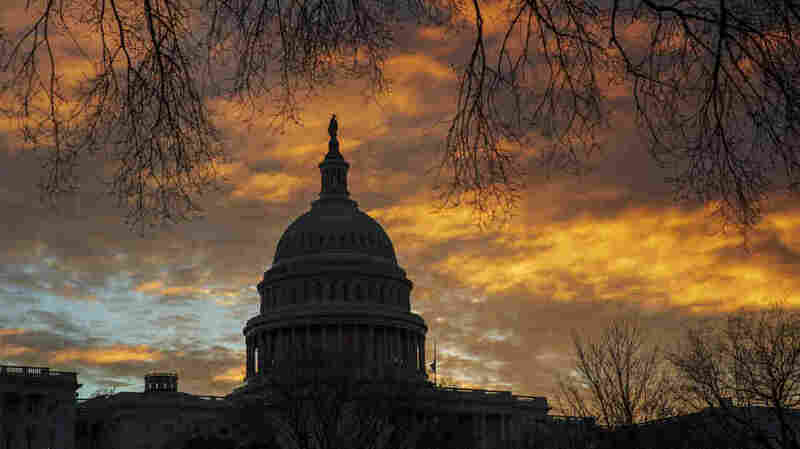 Many in Washington expect the Mueller report also to go to Congress and become public, perhaps even making the same kind of imprint as earlier reports about President Bill Clinton or the Sept. 11, 2001, terror attacks. How or even whether that happens, however, remain big questions — along with what any report could mean for Trump.